Dubai, UAE – Gulfood 2017, the 22nd edition of the world’s largest food and beverage trade platform, has rubberstamped its standing as a true industry weathervane and innovation laboratory. Right across the 1,000,000 square foot show, which runs until Thursday 2 March at Dubai World Trade Centre (DWTC), up to 90,000 food professionals from 150 countries are absorbing tens of thousands of products being promoted by 5,000 exhibitors from 120 countries. With more than 2,000 exhibiting newcomers at the world-renowned exhibition, this year’s event has served up a telling snapshot of innovative new products now impacting an industry striving to meet seismic shifts in consumer dietary and lifestyle preferences. From weird to the wonderful, conventional to revolutionary, we pick the gr-eight new products tipped to be world beaters in months to come. 1. Enter the veggie sharwarma. Hungary’s Korostej Ltd is trialling its new veggie sharwarma cheese concept at World Food, one of Gulfood’s eight dedicated sectors. The company is producing its already popular grilled cheese in huge blocks ready to fit on a traditional sharwarma grill. Accompanied by lettuce, tomato and green pepper, Sales Manager Omar Haboulsi says the cheesy option is designed to give increasing numbers of vegetarian consumers an alternative to the traditional lamb and chicken sharwarmas. 2. Why fry when you can bake? Northern Ireland’s Kestrel Foods is leveraging Gulfood 2017 for the international launch of its Forest Feast range of baked, not fried, fruit and nut snacks. In contrast to the conventional frying of dried fruit and nut snacks, the Forest Fresh range is air baked – making it perfectly attuned to the region’s increasing demand for healthy snacks. 3. Halal, is it ‘meat’ you’re looking for? The traditional Cornish pasty is going halal with Crescent Halal Pies & Pasties. Produced by the UK’s Lewis Pie & Pasty Co. the range is approved by the UK’s Halal Authority Board and has already been ordered by the region’s Choithram Supermarket chain. If interest at the British Pavilion at Gulfood is anything to go by, these pasties are destined for big things! 4. Back to the future with Jimmy’s Iced Coffee. The inspired creation of UAE-born and Dubai-educated entrepreneur Jimmy Cregan, these ethically-produced iced coffee products are already bona fide hits in the UK. Aligning with the fast growing RTD (ready-to-drink) coffee segment and available in three flavours – Original, Skinny and Mocha – Jimmy’s Iced Coffee contains only four ingredients: British semi-skinned milk, Arabica coffee, demerara sugar and water. With every carton carrying the brand’s signature ‘Keep Your Chin Up’ strapline, Jimmy’s tongue-in-cheek rapping in slick advertising virals have made the grab-and-go beverages brand a genuine YouTube sensation. Tucked away on packaging giant Tetra Pak’s Gulfood stand, Jimmy’s spent the week working on local distributor deals that he hopes will culminate in the ‘Made in Britain’ product finding its way on to UAE supermarket shelves later in this year. When it does, you’ll want to grab one, pronto. 6. Water wonderful world! Dubai-based SME Sky River has launched its futuristic, game-changing water coolers at Gulfood. The revolutionary machines literally convert air into water by capturing the air around them, before filtering and cooling it into the purest form of drinking water. With no need for bottles, plastic or chemicals, Sky River creates water in its purest form, for example, seawater contains about 80,000 parts per million (ppm) of Total Dissolved Solids (TDS), bottled water roughly 100-200 ppm. Sky River claims its air-turned-water contains just 10-20 ppm – the freshest of the fresh. Various units are available – there’s one designed for homes which produces up to 20 litres of water per day, and a larger unit designed for industrial use which can make up to 1,500 litres of drinking water in 24 hours. The machines are destined for big things – Emirates NBD struck a deal with Sky River at Gulfood to provide four-year, interest-free payments for buyers. 7. Kale you believe it! Al Areesh has debuted its water-grown fresh AQUA Kale at Gulfood. With normal kale grown in soil exposed to pesticides and microbial, this water-grown version is 100% pesticide-free and high in nutrients. Once harvested, the farmed product is formed into frozen portions to preserve freshness, increase shelf-life to 12 months and retain optimum levels of nutrition. It’s a perfect product for creating functional healthy juices, salads and smoothies. Water brilliantly diverse product! Ahead of its 22nd edition in 2017, Gulfood has established a position as the world’s largest annual food and hospitality show. 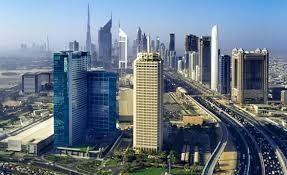 The trade-only show is professionally managed and hosted by the Dubai World Trade Centre (DWTC), which provides more than three decades of experience in delivering world-class events in the Middle East, featuring local, regional and international exhibitors with unmatched expertise and in-depth market knowledge. DWTC brings more than 35 years’ experience delivering world-class events in the Middle East and provides local, regional and international exhibitors with unmatched expertise and in-depth market knowledge. 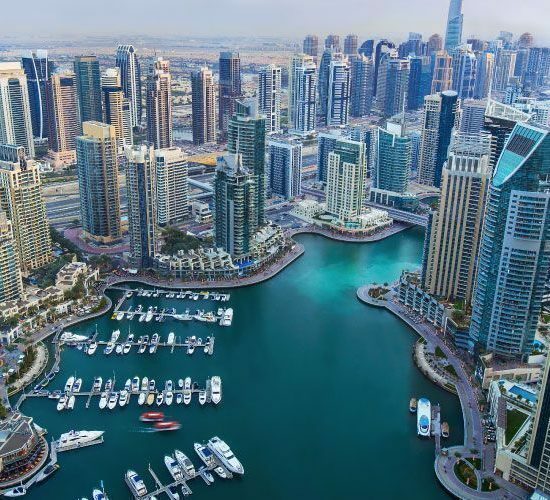 Our team organises more than 20 of the largest and most successful international and regional shows in Middle East, providing an ideal platform for business development in the region. Our commitment to on-going innovation within the exhibition industry has supported the rapid growth and development of a wide range of business-to-business and business-to-consumer shows, and delivered consistent satisfaction to exhibitors and visitors. DWTC works with the leading trade bodies and industry associations to ensure that all exhibitions deliver full value and are built upon the real needs of their specific sector.